Located on the banks of the Potomac River, the Kennedy Center is the epicenter of arts and culture in Washington, DC. 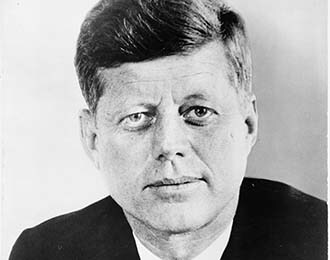 President John F. Kennedy was a lifelong advocate for the arts and was active in raising funds for the National Cultural Center that would be renamed in his honor following his assassination in 1963. In fact, the inaugural performance of this living memorial was a Requiem mass in honor of President Kennedy commissioned from composer Leonard Bernstein. Today, the Kennedy center lives on as THE venue of choice for performers touring the district- and offers free concerts on the Millennium Stage in addition to hosting performances from around the world for paid concerts and shows.